Looking down the lane, browsers have evolved and are no longer the only source for providing one-way window to Internet. In fact, as we migrate more towards the cloud, more the browsers reinforce themselves into multi-function boxes of digital magic. From communication tools and disposable escapist entertainment to productivity suites, browsers now have become a complete package. Now choosing the best among all browsers, there is nothing that competes Google Chrome in terms of versatility, clean and a polished UI. Being one of the most popular web browser, there are plenty of secrets that Google Chrome hides. 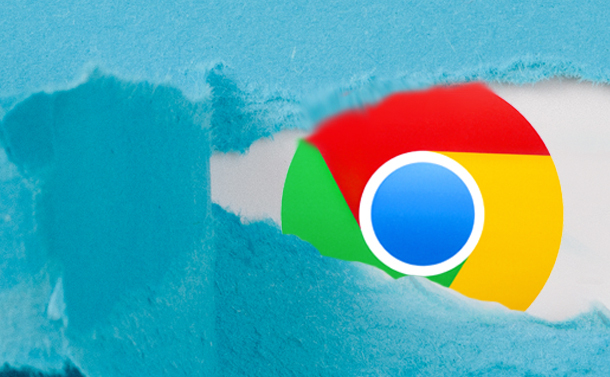 Some of the Google Chrome hacks will change the way you use the Internet. Here are some of the hidden features of Google Chrome listed below. Night mode browsing refers to the mode that lets you view screen letters in dark light in laptops and computers at night. This is based on an easy Google Chrome extension that reverses all browser color and makes them seamless to work at night. This is fit for your eyes as it is less harmful than the bright white light. To begin with, download Hacker Vision extension or ‘Dark Reader‘ extension in Google Chrome Browser. Add this browser by clicking “add” button there. Enter your google account details to access the services of this extension. Now all colors get inverted and become perfect for night-watchers. With dark reader, you can adjust the setting according to your wish like Brightness, Contrast, Grayscale, Sepia including fonts. You can also easily mute web pages. How? Go to the search bar of Chrome, you will find “Flag” by pressing “Command” and “F” keys. For Windows, its “Ctrl” and “F” respectively. Type “Tab Audio Muting” into the search bar. Click “Enable” and relaunch. Now, if audio starts to play in a web page, you can click the audio symbol in the URL bar to mute it. You can increase the number of “Raster Threads” to load images more quickly. Search for the “number of Raster Thread” flag and then click the drop-down menu and select “4”. Images on webpages will now load more quickly. Let Chrome generate “new passwords” for you. Search for password generation and click drop-down menu and select “enabled”. Now open a new tab and type chrome://settings/ and then sign into Chrome. Now Chrome can generate new passwords for you. Make sure you click relaunch now after selecting each of the features to activate them and if you want to turn off these features, click “Reset all to defaults”. Using a simple extension, Http User-Agent Switcher extension, you can add menu on web page. Also, this extension offers a toolbar button that switches between user-agents on Chrome. You can turn your web pages into PDF documents in the Google Chrome without the use of Chrome extensions. Just press CTRL+P on a Windows PC or CMD+P on a Mac, a box will pop out asking you to print it. Instead of clicking print, press “Save as PDF” and you’ll end up with a file of the web page on your desktop. These are some of the most common yet significant features of Google Chrome that makes you a “Power user” of Chrome. If you have any other tips and tricks, mention in the comments section below.